Moto M, the metal-clad Smartphone that was divulge last month in China same will be launched in India on Tuesday. Popular 'Lenovo' which is the parent company of Motorola has started sending media invites for the event on Tuesday where company will hold 'Moto M' India launch. The company had earlier chaff the launch of the smartphone's India launch, but has said nothing about the official Moto M release date. 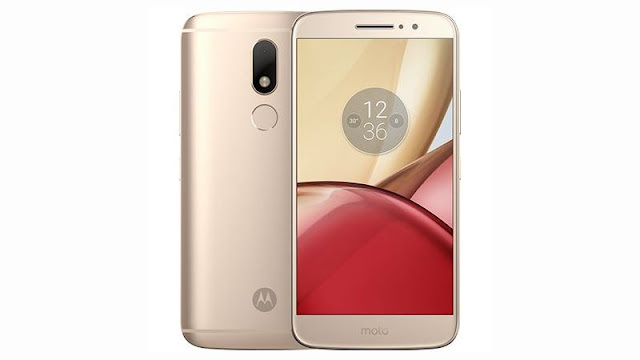 The first all-metal Moto smartphone, the Moto M price in India is expected to be around INR 20,000 considering it was launched in China at INR. 19,700. Display: 2.5D IPS with a pixel density of 401ppi. Processor: 64-bit MediaTek Helio P15 clocked at 2.2GHz ally with 4GB of LPDDR3 RAM. Storage: 32GB inbuilt storage and supports expandable storage via microSD card (up to 128GB). SIM Feature: Contains a hybrid dual-SIM slot, which means it supports a Micro-SIM or microSD card in the second SIM slot. *The Mobile supports 4G with VoLTE, Wi-Fi 802.11ac, Bluetooth v4.1, GPS/ A-GPS, USB Type-C (USB 3.1), NFC, and 3.5mm connectivity options.